If you’ve admired the look of the Fiat 500 coupe over the years and wish this brand had a sedan style model that you could enjoy driving on the roads, you’re in luck. The Fiat 500L is a car that has four-doors and a hatchback rear to give you the benefits you want of a versatile interior with the style and feel of the smaller models from this brand. Check out the affordable lease offers you can secure and let this be the car that’s right for you on the roads in Davie, FL. The creativity and concept of the Fiat 500 don’t have to be limited to just the smaller two-door models that are offered for you to drive. When you need to have the benefit of two more doors and more room for passengers, the Fiat 500L will be the one you want to enjoy. The team at Massey Yardley Chrysler Dodge Jeep Ram Fiat in Plantation, FL is where you’ll find the model you want to lease and experience on the roads in Davie, FL. Come in and take a look at this vehicle and take a test drive today. The lineup of the Fiat 500L that you want to lease and enjoy driving on the roads in Davie, FL with upgrades that make it easier for you to have the quality drive you’re looking for. This little hatchback offers you only three trims now with them being Pop, Trekking, and Lounge. Another change made to this car is the deletion of two transmissions to leave us with the six-speed automatic that is paired with the 1.4-liter turbocharged four-cylinder engine to be the right powertrain for you to have the driving quality you want on the road. When you step inside the new Fiat 500L you’ll have the benefits of a gorgeous design with several different color choices you can make for the ride. This is a small car that can offer you the benefits of a panoramic sunroof and the connectivity of the Uconnect infotainment system that responds quickly to the inputs you choose. Lease this little car and let it become the right one for you to enjoy the versatility and the quality offered when you take this car out on the roads around Davie, FL for the driving performance you’ll need to enjoy every day. The Fiat 500L allows you to have the quality driving experience you want with more doors and more seating to be able to take the family with you wherever you go. 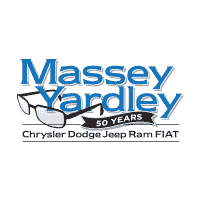 Come in and see the team at Massey Yardley Chrysler Dodge Jeep Ram Fiat in Plantation, FL and let this become the car you want to lease and enjoy on the roads in Davie, FL. This is a car that will allow you to have the ride you need so that you can enjoy the drive and experience what you want when you head out for a drive.